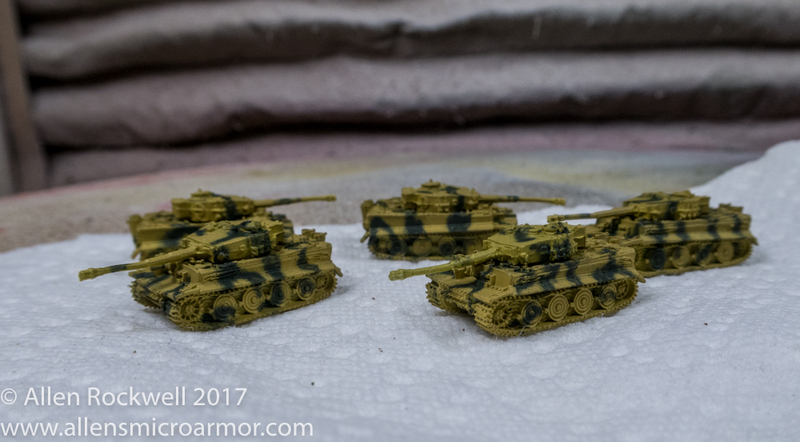 The Sotar 20/20 airbrush performed amazingly well on the green camo ,,, tomorrow the brown goes on. This entry was posted in WWII Micro Armor and tagged Airbrush, Camo, GHQ, Sotar, Tiger, Tiger I by Allen. Bookmark the permalink.